Our textiles are to be found all over the world. The Heytex Group is active at four locations on three continents to be able to develop, produce and supply the perfect technical textile material for all applications. Thanks to this global network, our group is able to understand the different requirements of international markets and to adapt our products perfectly to the respective needs. Our customers also benefit from fast communication without barriers – whether they are of temporal or linguistic nature – and last but not least from logistical advantages. 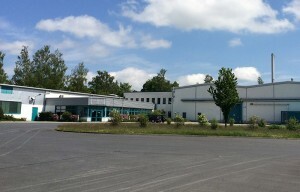 New Millennium, new location: since 2000, the headquarters of Heytex are located in Bramsche. Established in Osnabruck in 1913, the premises quickly became too small due to the marked expansion of the company in the second half of the 20th century. Today, Bramsche not only hosts the headquarters of the Heytex Group; that is also the place of the weaving mill. 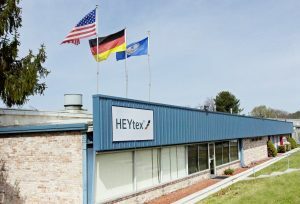 Heytex Neugersdorf GmbH was established in 1993 as the first subsidiary of Heytex GmbH and is the main production site of special Heytex products today. Whatever the task may be: the experts in Neugersdorf will find the right solution! The sophisticated hotmelt calendering technology allows the processing of PVC and a wide variety of other plastics, for example, TPU, Alcryn®, blends, polyolefins and new TPE (thermoplastic elastomers). The spectrum of carrier materials used ranges from open mesh fabrics to very heavy and highly resistant fabrics. Moreover, Heytex Neugersdorf GmbH is renowned as a centre of excellence for airtight coatings. 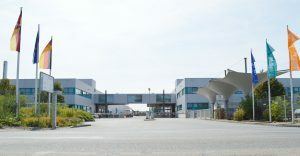 In 2006, the Heytex Group established its second subsidiary in the Chinese province of Jiangsu and laid an important foundation for the success in the Asian region. Early in 2007, the Chinese subsidiary started to produce the first PVC-laminated polyester fabric for digital sign and banner print and other technical applications. Today, almost 100 experienced and competent employees are devoted to the production of high-quality laminates and Heytex quality made in China stands for premium laminates, specially designed for digital sign and banner print, for indoor and outdoor use as well as for a wide range of technical applications. The BondCote Corporation which was established in 1949 with headquarters in Pulaski, Virginia, is the youngest subsidiary of the Heytex Group. With its approximately 90 employees, BondCote is specialized in the production of coated and laminated textiles, amongst others for military, roofing, environment, agriculture, recreation and sports.